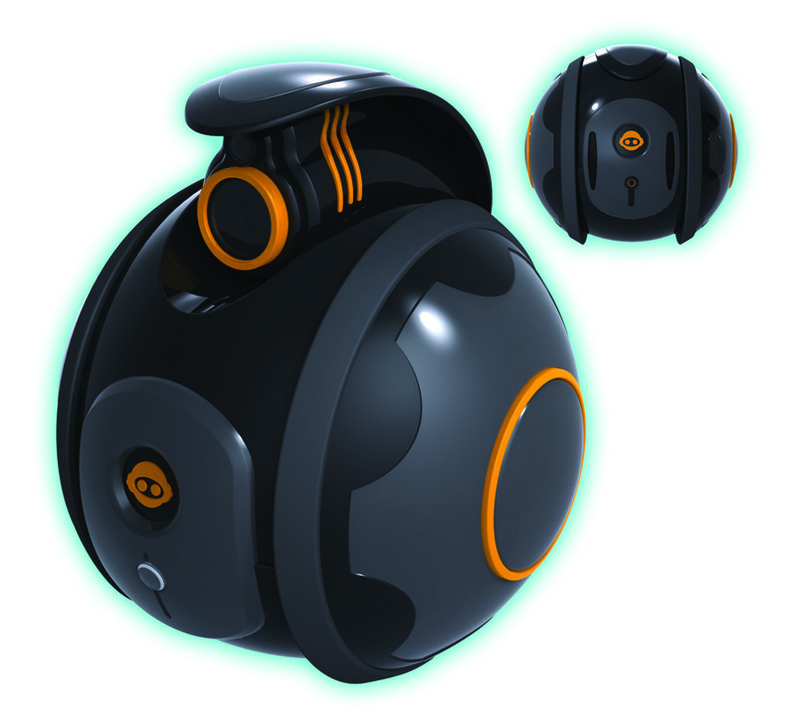 Like the Rovio, WowWee's Spyball is a Wi-Fi-enabled spycam robot. But it transforms from sorta conspicuous ball to spycam for surreptitious shots. You can connect ad-hoc via Wi-Fi or over the internet. The Spyball™ spy-cam is a remote controlled, Wi-Fi enabled, transforming robotic ball that introduces an element of play to telepresence functionality. Affordable, easy-to-use, and rechargeable, the Spyball spy-cam captures video and still images and is equipped with sleek wheels for fast, smooth mobility and 360-degree turns. Transforming from ball to camera and back again, the Spyball spy-cam moves with stealth and in disguise - perfect for spying on siblings or peeking into the kitchen. There is no need to access the Internet to see what the Spyball spycam sees - users can make an Ad hoc connection via any Wi-Fi-enabled device including a PC, laptop, video game console or even a cell phone. The included USB cable allows users to configure a simple home network setup process that will allow the Spyball spycam to be controlled from any remote location via the Internet. WowWee, an Optimal Group company, is a leading designer, developer, marketer and distributor of innovative hi-tech consumer robotic and entertainment products. The WowWee group of companies maintains operations in Hong Kong, Carlsbad, California; Brussels, Belgium; and Montreal, Quebec. For more information, please visit the Company's web site at www.wowwee.com.